Note: Offers on the asking price may be considered. For those that know, the Hurley 22, is a classic, she looks right , sails well and they have an amazing reputation for their seakeeping qualities. They are be seen in all weathers, and it is testament to the design that many Hurley 22s have criss crossed the worlds oceans. An extraordinary combination, sturdy and benign and yet hugely capable. These yachts have a following and it is easy to see why they would make such a good choice. Our example is a prime one, moored on the east coast , so bilge keeled and with easy access to open water, she resides in a highly desirable location with the potential to continue the present mooring arrangements. She would make a perfect weekender , her interior has the benefit of four berths! She has been renovated and is now one of the best Hurleys on the market. There are small yachts and then there is the Hurley22. They have an active owners association and as a mark of their aplomb, they were selected by the Royal Navy for their training fleet. The year of this vessel is approximately 1975 but as she approaches her fiftieth anniversary she looks set for another 50! 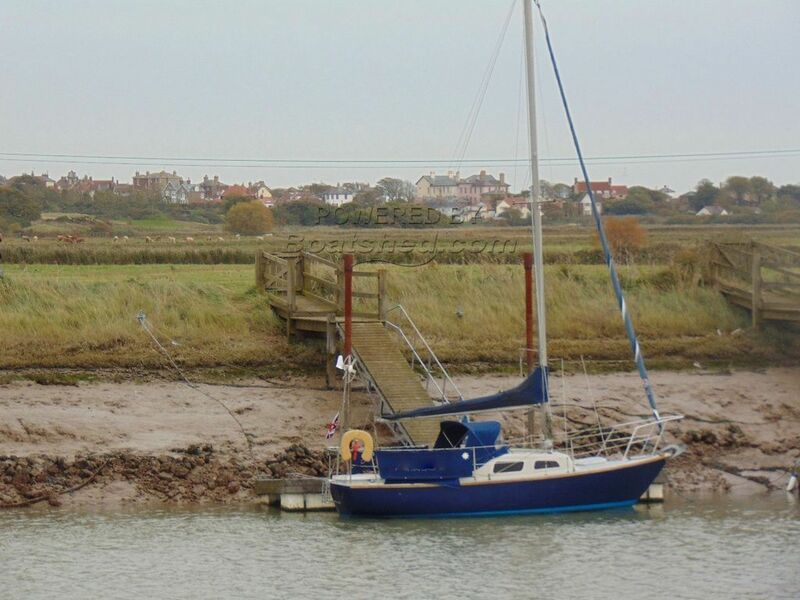 This Hurley 22 has been personally photographed and viewed by Philip Berkeley and Geoff Jaquest of Boatshed Suffolk. Click here for contact details.